These professional grade linking rings are high polished in stainless steel. 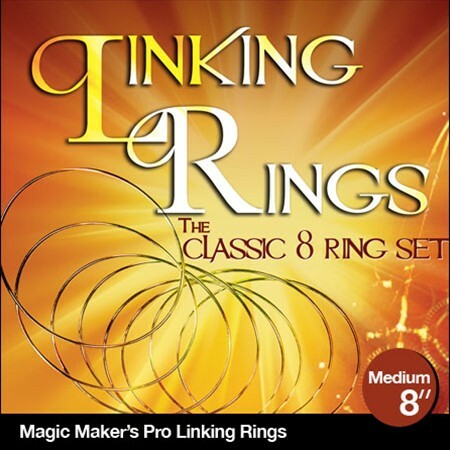 Included with this ultimate set of linking rings is a step by step teaching DVD on your journey into the Linking Rings. Learn more than 30 Tricks, Tips & Moves from a professional magician on the included DVD!